The HyperX Cloud 2 headset sits at the top rung of the best gaming headsets in the market because of two factors: comfort and quality. This headset has been designed to provide an immersive audio environment while pumping out precision sound. Whether you want to listen to music, watch videos, or play your favorite game, HyperX Cloud 2 can provide you with the type of surround sound that you need. The headset comes with comfortable memory foam ear cushions and a detachable noise-cancellation microphone for clear conversation. 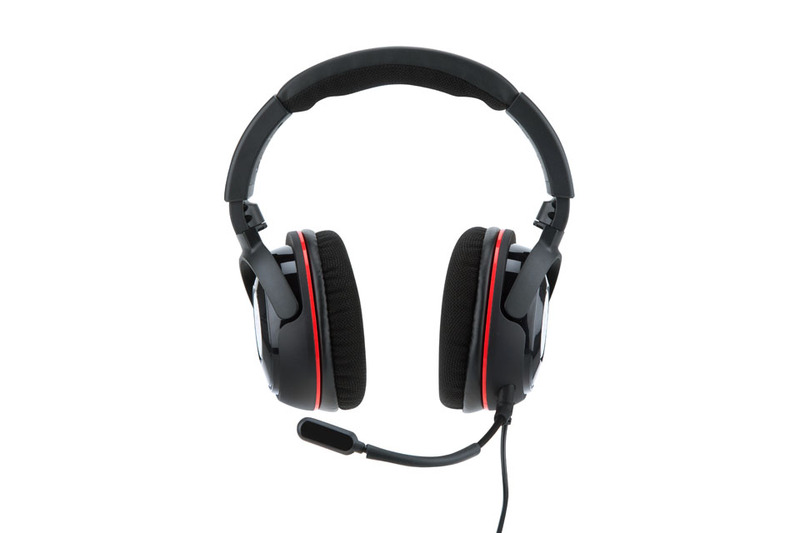 HyperX Cloud 2 headset is also compatible with PC, Mac, smartphones, and most gaming consoles. But after upgrading to Windows 10, several HyperX Cloud 2 users have found their microphone either muted or muffled for no apparent reason. Some HyperX Cloud 2 microphones are not even working at all. Turning up the microphone volume does not help and this problem has left a number of users frustrated. So if you’re one of those whose HyperX Cloud 2 headset lost microphone output quality after Windows 10 upgrade, then you’ve come to the right place. This guide will show you what to do if your HyperX Cloud 2 mic is quiet, muffled, or not working properly. Before we proceed with the more complicated steps, doing some initial computer checkup can be helpful. Have you tried rebooting your computer? A simple restart can work wonders for your system. It refreshes Windows and resolves minor problems caused by temporary glitches. Before rebooting your computer, make sure your HyperX Cloud 2 is unplugged. Plug it back again once the computer has restarted and check if the microphone issue is still there. Next, delete any unnecessary files that might be affecting your processes. You can use a PC repair tool to totally get rid of junk files and optimize your Windows processes. Make sure that the mute switch in the USB switcher hasn’t been activated. Check all connectors and cables to ensure they are all seated properly. Make sure your computer’s microphone is not set on mute or low volume. Try plugging the headset into a different USB port to see if you might have a port problem. Try using a 3.5mm audio jack connection instead of USB. If these basic steps are not enough, then it’s time to do some serious troubleshooting. Step 1: Check Your Computer’s Sound Settings. The first thing you need to look at when you’re having audio problems is your computer’s sound configuration. Your HyperX Cloud 2 mic might not be working because it is disabled or it is not set as the default device on your computer. Press Windows + R keys to open the Run dialog. Type in control in the search box, then press Enter to launch Control Panel. Click the Category drop down menu beside View by, and choose Large icons. Click on Sound > Recording tab. In the Recording window, right-click on any empty space and tick off Show Disabled Devices. Right-click on Headset Microphone and select Enable to turn on the device. Right-click on it again and choose Set as Default Device. Now that your HyperX Cloud 2 microphone has been enabled and set as the default device, try using it again and see if it works now. Step 2: Change Your Sound Format to a Higher Version. Right-click on the sound icon on your Taskbar. In the Speakers/Headphones Properties window, click on the Advanced tab. Under Default Format, select your preferred sample rate and bit depth from the dropdown menu. Click the Test button to see if the option you have chosen works. Hit Apply > OK to save your settings. You can try different sample rates and bit depth to see which format resolves your microphone issue. Step 3: Update the HyperX Cloud 2 Driver. Press Windows + R keys to open the Run dialog. Alternatively, you can search for Run in the Start search box and click on the top result. In the Run dialog box, type in devmgmt.msc and press Enter. Expand Audio inputs and outputs by clicking the (+) button. Right-click on HyperX Virtual Surround Sound, then click Update Driver. Your computer will then automatically scan for the most updated driver for HyperX Cloud 2. Once the driver has been updated, restart your computer for the changes to take effect. Alternatively, you can uninstall the driver instead of updating it in order to force your computer to look for the latest driver. If your computer was not able to find the updated driver, you can download it from the manufacturer’s site and install it manually on your computer. Don’t forget to restart your computer after installation. Step 4. Run Windows 10’s Sound Troubleshooter. It’s now easier to fix common computer issues, such as sound problems. Windows is equipped with a built-in troubleshooter that automatically scans and repairs common problems. Right-click on the sound icon on the Taskbar. Choose Troubleshoot Sound Problems. The troubleshooter will then automatically diagnose your computer for sound problems. Once the scan is completed, you will see a list of sound issues you need to address. Click on the problem you want to fix and follow the on-screen instructions to resolve it. The troubleshooter is easy to use and you don’t need a lot of technical knowledge to resolve your issues. All you need to do is follow the step-by-step instructions and you’re good to go. High sound quality, noise-canceling features and comfortable ear cushions make the HyperX Cloud 2 one of the best gaming headsets out there today. If you’re experiencing microphone problems after upgrading to Windows 10, just follow the steps above to get your mic working properly again.